There is a common misconception that digital transformation involves nothing more than acquiring, configuring, and installing new technologies. You just roll out the systems, and the customer experience is miraculously transformed. You just flip a switch and all of your people line up to flawlessly execute your strategy and deliver on the promises of your brand story with ruthless consistency. We all wish it were so easy! Real transformation requires far more than chasing bright shiny objects —it requires a fundamental change in the way you do business. To make sure that the conditions for success are in place, consider these five steps to put your business on the right path to digital transformation. Before you attempt to make any transformative changes, it’s always best to take inventory of your current situation, assets, and constraints. You need to take an honest look at the things that may be holding your brand back from connecting with your target audience and growing sales, such as overly complicated messaging, unclear marketing strategies, inefficient processes, or critical skill gaps in your workforce. Only after you reveal the truth about your current situation can you begin to come up with potential solutions. The beginning of a digital transformation initiative is the perfect time to probe and assess every aspect of your sales and marketing operations—how you do the work, collaborate, recruit talent, make decisions, organize operations, even how you create your underlying company culture—to determine whether you need to make changes. One critical step is to quantify and validate, based on facts alone, the explicit value associated with digital transformation. The sponsoring executive and the project team must align and agree on a business case that is clearly defined and measurable in terms of strategic, operational, economic, and organizational benefit. Activities should be specified to assure that team performance is routinely monitored and risks are mitigated. Scope for the transformation team must be appropriate for obtaining the business results desired: neither so broad nor so narrow as to jeopardize success. A performance evaluation process and HR system must be in place to assure that the project is appropriately staffed with high-quality, high-performing talent that demonstrates the cross-functional expertise needed to meet the business objectives. A clear and cohesive strategy allows you to focus on the business objectives first before executing the best technological tactics to achieve them. Whether you’re a highly innovative brand or you embrace a more traditional style, your strategy sets the tone for designers, developers, UX specialists, and information architects to align on what success looks like for your digital transformation. Strategy alignment is critical to transforming your business in a way that consistently generates bottom-line results for your business. After all, the ultimate strategic goal is to give your customer a reason to care, a reason to engage, a reason to buy, and most importantly a reason to come back. With the right research, analysis, and tradeoffs, a compelling strategy can offer you opportunities to outmaneuver your competition and take your business to the next level. Moreover, it provides you with the ability to understand how you can grow your platform, make the necessary tradeoffs to differentiate yourself, and identify changes required to improve your growth rate. If you proceed without strategic clarity, you run the risk of building what could amount to very expensive and ineffective technologies. Technologies that will complicate your story, confuse your target audience, and misalign with your business objectives. Under this scenario, a slick, new digital application could actually do a terrific job of putting you out of business! The support of your employees is integral to the success of your business. Once you have established the changes, tools, and strategies you need to adopt, you must meet with your staff to ensure they are 100% onboard with your new plans. Present your team with relevant parts of your digital transformation plan and enroll them in the journey ahead by soliciting their input and feedback. After all, people support what they help to create! Focus on building an agile team that can respond when demand rises. Solving for capacity starts with visibility. By creating a clear view of your team’s capacity, you are enabled to shift resources internally to meet changing demands. Also, by creating a clear view, you are able to understand where there may be any potential skill gaps. This can be very helpful when you are trying to accurately determine which tasks may need to be outsourced. In order to stay focused on the KPIs that tie back to strategic business goals, your team must identify and track leading indicators and outcome-oriented measurements that matter. All spending on technology and transformational assets should be clearly visible. Measuring your results can help you determine whether a strategy or process is working, so you can immediately make the appropriate tweaks and changes. While some tools will come with reporting features for accurate measurement, you might need to set daily targets or request employee or customer feedback. 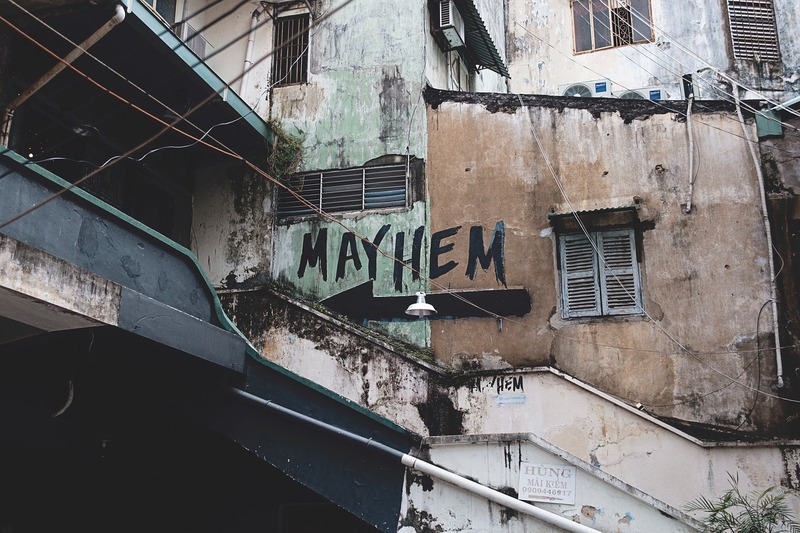 As with many complex business problems, mayhem often shows up in digital transformation programs. The good news is that if you follow these five steps, you’ll be on the right path to take control of the chaos. In order to navigate through digital transformation, you’ll have to proactively develop a well-planned strategy and ensure the conditions of success are in place. And by having those conditions in place, your team can more easily transform the business and drive results. Just know the common signs of marketing mayhem so you can be proactive about preventing it. Come back on Monday next week to hear from TopRight principal Chris Weissman about the tricky—and increasingly fraught—relationship between politics and marketing. If you’d like to learn more about how to identify and overcome the predictable problems associated with digital transformation, download a free copy of our white paper: Overcoming Mayhem: 5 Common Transformational Challenges and Their Solutions.